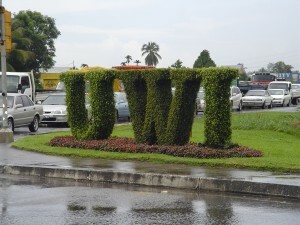 ST AUGUSTINE, Trinidad -- Trinidad and Tobago Prime Minister Kamla Persad-Bissessar will formally open the Diplomatic Academy of the Caribbean at the University of the West Indies (UWI), St Augustine Campus, on May 6, 2014. The Diplomatic Academy of the Caribbean, a joint project between the government of Trinidad and Tobago and its ministry of foreign affairs, and the UWI through its Institute of International Relations, is the first of its kind in the Caribbean. Professor Andy Knight, director of The Institute of International Relations, noted that it will reach out to a cross section of target groups and beneficiaries, beyond the strict confines of CARICOM, to all those involved in one way or the other in international cooperation and transactions. It will epitomise the modern day diplomatic academy and provide learning and training not only to diplomats and national government officials, but also much wider audiences, such as other state agencies, NGOs, business and civil society. The Diplomatic Academy will use new and innovative training techniques in practical, hands-on modules. There will be experience sharing and learning as well as networking with the best expertise regionally and internationally. Its first module on contemporary diplomacy will run from May 7 to 10 and 12 to 13, 2014. It will be led by Professors Jorge Heine and Andrew Cooper from the Balsillie School of International Affairs, University of Waterloo, Canada.